Holy Moley! Gee Willikers! Wowwee Kazowee! 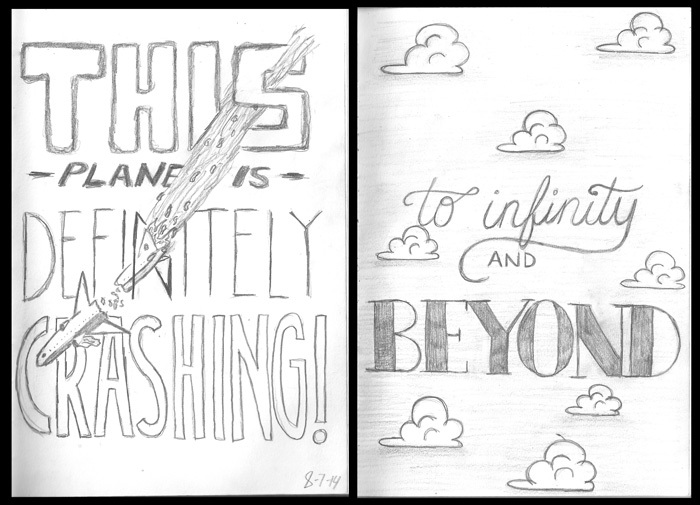 It’s the middle of August somehow, and the end is near of our sketch-a-day challenge. We can see the light at the end of the tunnel, and it could not get here soon enough. 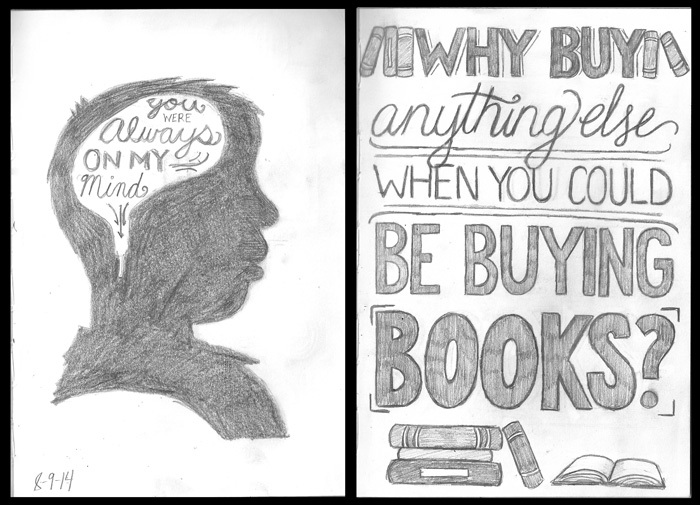 The idea of drawing a sketch everyday for the entire summer seemed like a good idea 13 weeks ago, but now we are just trying to make it ’til the end. With all of that said, let’s go ahead and check out what’s been going on this week. Day 85: After attending a Modest Mouse concert, Sean sketches one of the band’s deeper cuts that they played live. While Sean is falling out of the sky, Stef is flying high with a soaring quote from Buzz Lightyear the Pixar classic, Toy Story. Day 86: Always a fan of drawing characters from Saturday morning cartoon shows, Sean sketches Grounder from Sonic the Hedgehog, deep in thought. 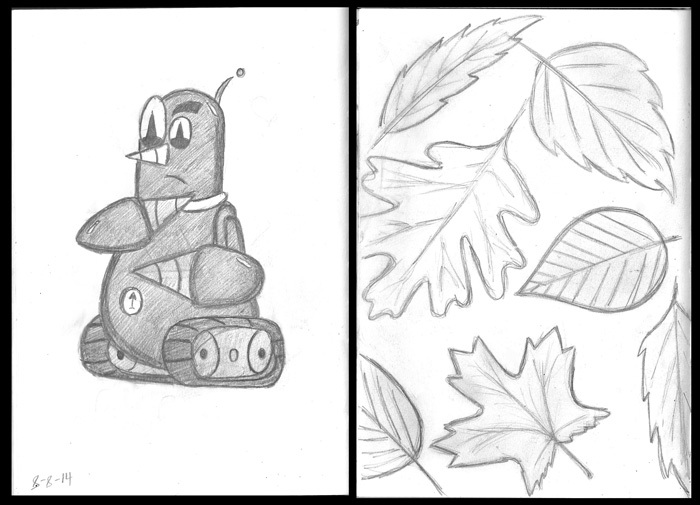 Stef is already looking towards the cooler autumn months and draws a wide variety of leaves, or as I like to call them, tree babies. 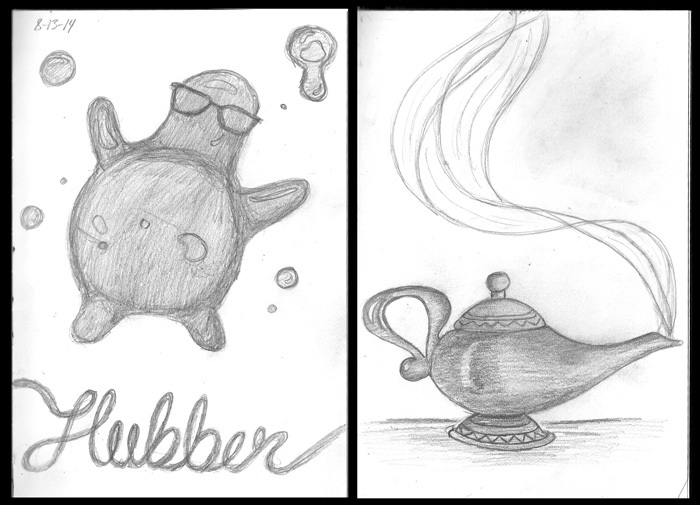 Day 88: An impromptu theme day as both Stef and Sean draw some logo designs for their personal brand. 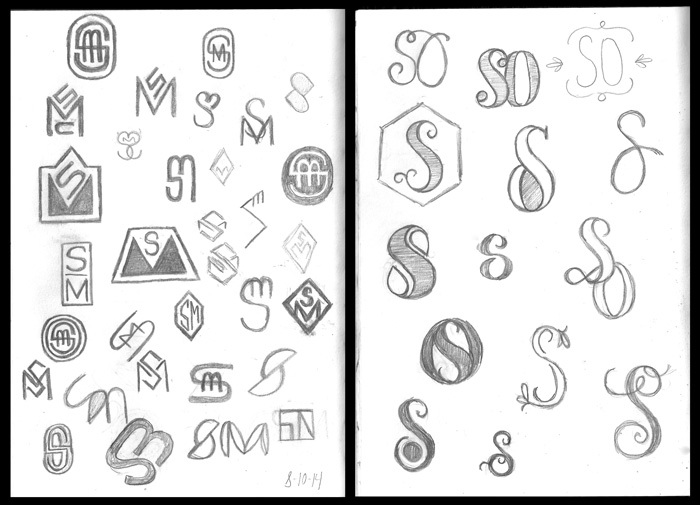 Both tried out the idea of monogram logos, and came up with some really good concepts. 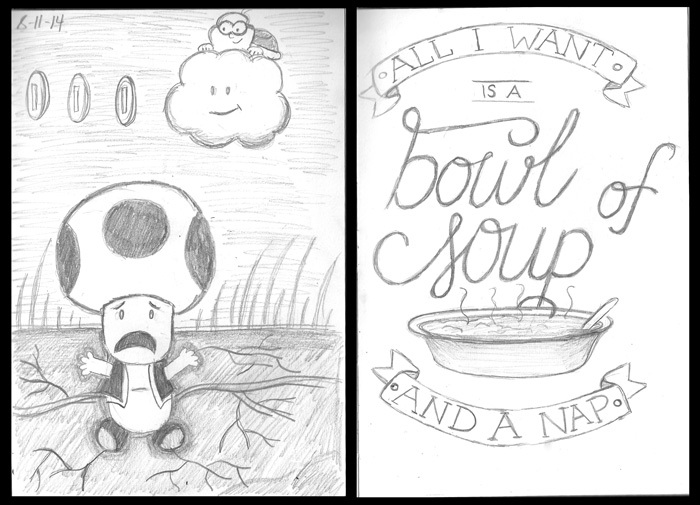 Day 89: Poor Toad. Someone dug him into the ground and left him there to rot with only his mushroom head sticking out. Was it that smiling Lakitu? Who knows? Stef was not feeling 100% today, and decided to let everyone know what was at the top of her priority list. Some summer corn chowder from Panera was the cure to her ailment. Day 90: Sean spends a lot of time on his tablet, so it’s a bit surprising he hasn’t drawn out all the icons yet on his home screen yet. Can you name all of the apps? 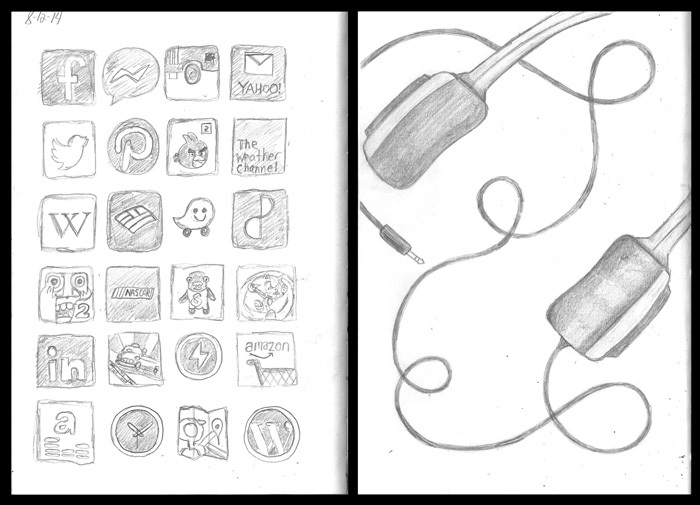 Stef draws a pair of headphones with a loopy cord wrapping around it. Day 91: ***Theme: Robin Williams Movies*** In memory of the actor/comedian who has touched all of our lives and made us laugh time and time again, Stef and Sean take a moment to draw out some scenes from a couple of Robin Williams’ films. So there you have it folks. Looks like the summer is slowly winding down. We’re slowly creeping up on our 100th sketch it seems too. Both will be here before you know it. Tell us some of your favorite memories from this summer in the comments below! Go somewhere fun? Make something cool? We’d love to hear from you! So long until next week!